These arrived in the post just before the weekend. 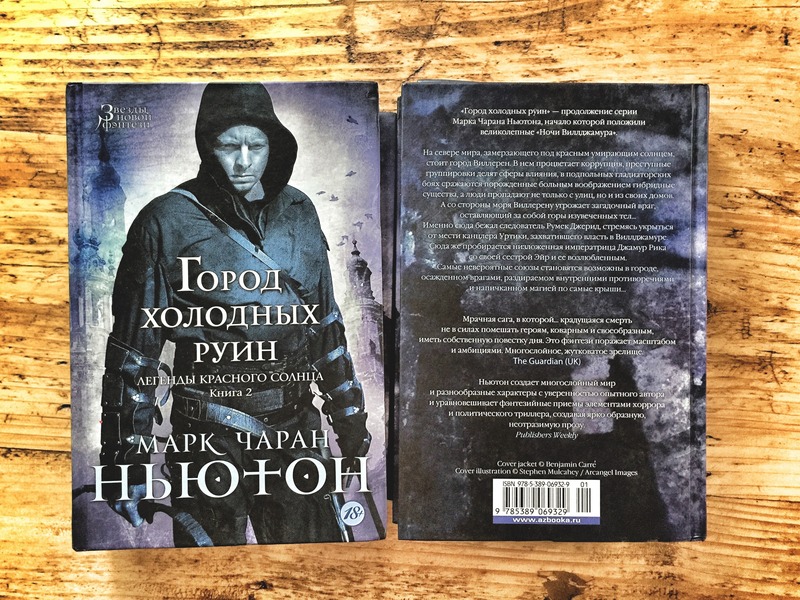 They’re Russian editions of City of Ruin – rated 18+ apparently! I’m afraid I have very little information about them. And, curiously, I don’t even have editions of Nights of Villjamur, which I assume they published first. Anyway. Nice to see my own name in Russian.